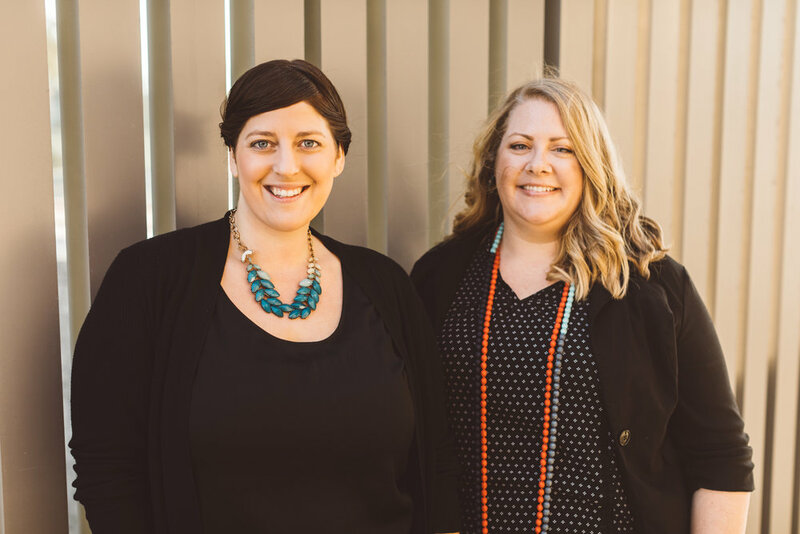 We have a special place in our hearts for this month's spotlight feature... not only because she's an indispensable member of our team, but because prior to becoming a doula, she was first, a DOC client. Orange County, we're delighted to introduce you to Ashley Mullen! I (Lauren) first met Ashley in high school. She was a new freshman member of the sorority I was president of (yes, high school sororities are a thing in Long Beach... don't ask me why!) so we got to spend a decent amount of time in each other's company. Fast forward many years when I went to a consult with Ashley (not knowing it was her) where we became reacquainted and where I was hired as her doula. Let me tell you something about this woman: She is one of the strongest people I know. Not only did she handle her birth like a freaking rockstar, she managed the many challenges of the 4th trimester with grace and humor. She'll tell you herself, she got everything thrown at her once her baby arrived and it was not an easy journey. But she found her way through the darkness and in doing so became inspired to become a doula and help other new moms through similar challenges. Ashley is an incredible teacher, not only in her Babywearing 101 class but at in-home postpartum visits as well. She's well-versed in baby gear, has extensive knowledge of breastfeeding and babywearing and has such compassion and empathy for new parents. Her organization and insight will help you prepare your home, your nursery, and yourself for the days, weeks & months after birth. Believe me when I say that you want her on your postpartum team! We are super excited to share her light and passion for postpartum work with you in this months "In The Spotlight!" I was born and raised in Long Beach, California. Before becoming a Postpartum Doula, I had been wrapped up in a different career. After graduating from Long Beach State, I started a career in fashion. I lived and worked in LA for 6 years, until I decided to marry my high school sweetheart and move back to Long Beach. We got married, bought a house and had a baby! After having my son, Mason, everything changed for me. Life was no longer about my job and how senior I was in my position, it was about my son. I never thought that would be me, but I’m so glad that Mason chose me to be his mom. Every morning I get excited to wake up to my little ray of sunshine. I am so grateful to see my sons smiling little face greeting me each day! After staying at home with Mason, I decided to quit my job and begin a path towards Postpartum Doula work. As my son got older, more of my friends were having babies and would reach out to me for advice. I was so happy to give it! One of these mom friends of mine said, “You should become a Doula!” My response was, “You're right, I should!” I reached out to my own doula and asked her how to started in the industry. I now am lucky enough to work for the agency that I used for my support in my own birth & postpartum. My inspiration to become a Doula came from my own journey into motherhood. As a first time mom, I had many challenges and felt lost. I felt guilty bothering other moms with questions I had and looking back all I needed was a Postpartum Doula. I am thankful that I was able to have one because the support is invaluable. The kind of non-judgmental support doulas give to moms is truly the best especially when you are at your most vulnerable state. What is the “why” behind your business as a doula? Why do you do what you do? I do what I do because I don’t ever want a mother to feel the same insecurities and fears I felt. Having awareness, support and guidance is so important, especially for first time moms. Nothing makes me happier than helping a new mom who is lost, unsure or concerned. What are three qualities that make you stand out as a doula? I feel like I can connect with new parents because I’ve been in their shoes. They feel a sense of security around me and recognize that I understand them on a deep level. Another quality that makes me standout is my honesty. I am a straight shooter and will give you my honest opinion when asked. Lastly, I am committed to helping you come up with solutions that work for your family & your unique situation. I am willing to reach out to other professionals such as lactation consultants, sleep consultants, etc. for additional resources and support if needed. As a Postpartum Doula what are your top 3 tips for new parents? 1. Don’t get discouraged- I know, it's harder than it seems. In the beginning when you are trying to figure things out, it can be discouraging. You may feel like a failure and may not understand why you can’t do something. The fact of the matter is, you can do it... it just takes more time. 2. Don’t forget to eat- even if it’s a peanut butter and jelly sandwich. Have anyone and everyone drop off food whenever they can. People understand that you need the help and they can’t always come over to see the baby. Sometimes, you just need a meal. Friends and families are the first to understand that. 3. Even if you can’t sleep when baby sleeps, REST. It is hard to relax, especially for first time moms and even though you’re exhausted it can be tough to settle down and close your eyes. If you can’t sleep, just lay down and rest your body. Hey, even binge watch your favorite TV show, that’s what I did! The best part about my job is watching a mom and baby connect and get the hang of each other. Usually, when I first start out with a family, a new mom is suffering from sleep deprivation and isn't fully in-tune with her baby's cues. Over time and with support a mom not only knows her baby's cues but also knows how to confidently meet her baby's needs and understands how to figure out all possible scenarios. I love when moms start to understand their baby’s language, it truly is a joy to witness. The most challenging part is seeing a mother breakdown and cry. What they usually don’t know, is that this is totally normal. Motherhood is no joke and new moms often need someone to validate the difficulty of this transition and let them know that crying or breaking down is not a bad thing. Your world has literally been rocked, so crying is ok and I am there for you when that happens. If you could tell a new mother one thing, what would it be? This is only a phase. I heard this so many times from other moms. I thought they were all crazy. As it turns out, they weren’t! In the first 6 months, babies grow and go through so many changes. And just when you feel like you have something figured out a new developmental milestone occurs and your rhythm gets messed up. All I can say is that it doesn’t last forever, it truly doesn’t. What was your biggest struggle when becoming a mom? What about your biggest joy? My biggest struggle becoming a mom was breastfeeding. It is all I wanted to do as a mom, but we had so many hurdles to overcome. I had multiple bouts of mastitis and my son couldn’t latch properly until he was 8 weeks old. We dealt with constant weight gain issues and gas like no other. I wish I knew then what I know today and didn’t put so much pressure on myself and my son. Sometimes, you have to just go with the way life takes you and that was a tough lesson for me. My biggest joy is seeing my son grow every day and being with him to witness it. This is a good question! Most of the time, people have no idea what a doula is. If they do, I’m often compared to a night nurse or a midwife. Another good one is that I am a hippy and only believe in natural childbirth and breastfeeding. And while those are two things that I chose to be a part of my journey, I don't have an agenda. I am here for you; however, you choose. Breastfeeding or bottle feeding, co-sleeping or crib, homeopathic or pediatrician, whatever your path, I am here to support you. Before I was a doula, I was in the fashion industry for 15 years. Fashion and art inspire me in everyday life. I love everything about it, silhouette, form, texture and color. I absolutely love going to museums and helping friends design their homes. I will be binge watching the second season of Stranger Things as soon as it comes out this month! 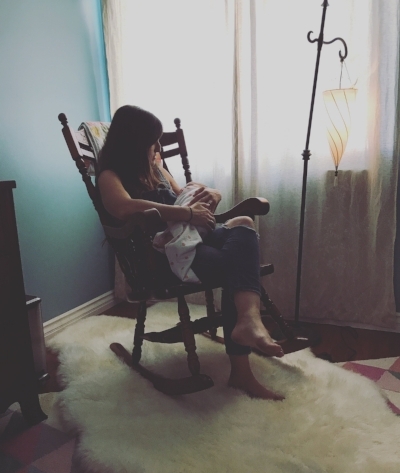 Ashley offers daytime Postpartum Doula support in the Orange County & Long Beach areas. Her postpartum wellness services include in-home babywearing consultations, baby gear tutorials, and belly-binding consultations. Join Ashley every other month at our Babywearing 101 class where you'll not only learn the benefits of babywearing, but also have an opportunity to try on some carriers! To schedule a consult with Ashley, visit our website and fill out an inquiry form or email us at hi@doulasofoc.com.